Are you in dental pain? Contact us today and we’ll help you find relief. You may benefit from having a friend or family member drive you to the office. We’ll work quickly to get you out of pain and back on your feet. If you have a chipped tooth, knocked out tooth or simply don’t know what to do in a dental emergency, don’t worry. Stay calm and call your local dentist for assistance. Rinse your mouth gently with warm water and apply an icepack to the outside of the cheek to reduce swelling or alleviate dental pain while you make your way to the dentist. If you are experiencing tooth pain, have chipped or knocked out a tooth, or simply don’t know what to do in a dental emergency, our team is here to help. Give our office a call and we will work quickly to get you scheduled. Rinse your mouth gently with warm water and apply an icepack to the outside of the cheek to reduce swelling or alleviate dental pain while you make your way to the dentist. We provide emergency dental solutions in the cities/towns of Fitchburg, Paoli, Oregon, Mt. Vernon, Mt. Horeb, Blue Mounds and Belleville, WI. Never touch the gums near a dental injury. Applying ground up aspirin to the affected tooth or gums can also cause complications. Don’t wait for a dental injury to worsen over time. Call our office and we will address any existing pain and come up with an effective treatment plan. In cases of a knocked out tooth every hour can make the difference in recovering the tooth. make sure you keep the tooth and store it in milk. A dental emergency is one of the quickest ways to spoil a vacation. Before you check out for the holidays, check in with your dentist. A routine checkup can detect changes in your dental health even before you notice them personally. If you need emergency dentistry while out of town, seek a local emergency dentist. We are likely able to complete the dental restoration upon your return. Remember, the best dentistry is no dentistry! When you come in for preventive dental care at your family dentist in Madison and Verona, we’ll take care of you to lower the risks of an “oops” moment later on. With simple fillings, sealants or restorative dentistry, you may better protect your teeth from dental injuries and tooth decay. 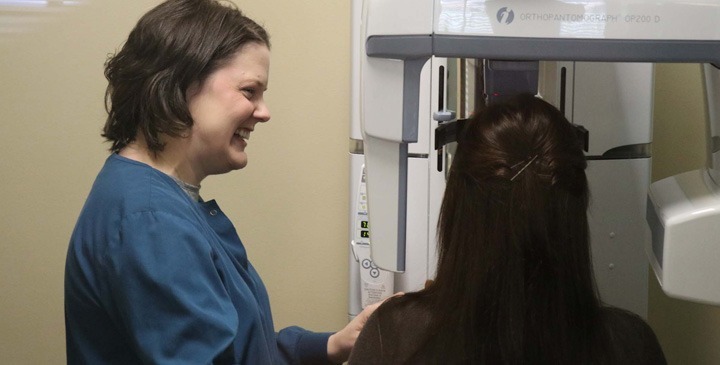 You might be anxious to see the dentist, especially if the treatment you need is new to you. As your family dentist we can recommend that you call us to ask about anxiety-reducing medication, which has helped countless patients find relaxation and calm during their treatment. Give us a call and we’ll be happy to help you feel situated and relaxed.